If you own, operate or manage any type of commercial or industrial building or facility in the Alpharetta, Georgia area, you owe it to yourself to talk to the commercial HVAC experts at JS Thomas Service, Inc. about your Alpharetta commercial HVAC repair needs. JS Thomas Service, Inc. has become an industry leader in commercial and industrial HVAC maintenance and repairs by focusing on what it does best – solving our client’s mechanical systems problems quickly and efficiently while providing a level of personal service you won’t find anywhere else. Commercial HVAC problems come in all shapes and sizes. If you need a custom tailored maintenance program to keep your system in top condition, we can specifically design a maintenance plan to meet the needs of your operation at a fixed cost to fit your budget. If your tenants are constantly complaining about the heating and cooling system in your building, shopping mall or other commercial facility, we can help! At JS Thomas Service, Inc., we like to say that “We make your phone stop ringing.” You have better things to do than answer phone calls from irate tenants and our expert commercial HVAC technicians have the skills and experience to identify the underlying cause of the problem and provide a solution that will keep your tenants comfortable and happy. When you have an HVAC system failure, you can count on JS Thomas Service, Inc. for fast, expert Alpharetta commercial HVAC repairs. All phone calls are answered by a real person who can help with any problem you are having with your HVAC system. Our goal is to have our factory trained technicians respond within two hours of your call and when you hang up the phone, we want you to be assured that we are already working to solve the problem. 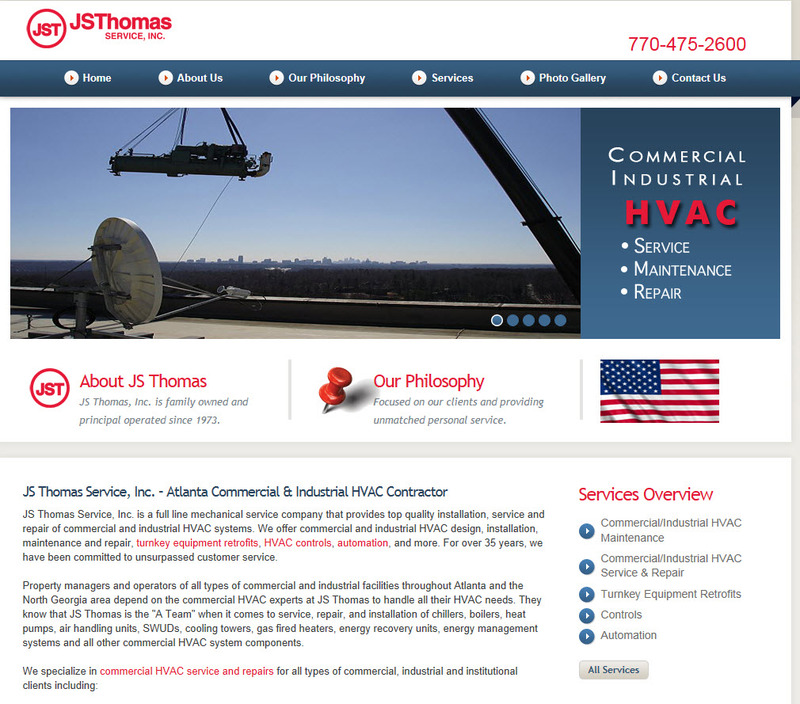 Call JS Thomas Service, Inc. for all your Alpharetta commercial HVAC repairs, maintenance, and service needs today.